Today we’ve got a great bargain that anyone will find handy! 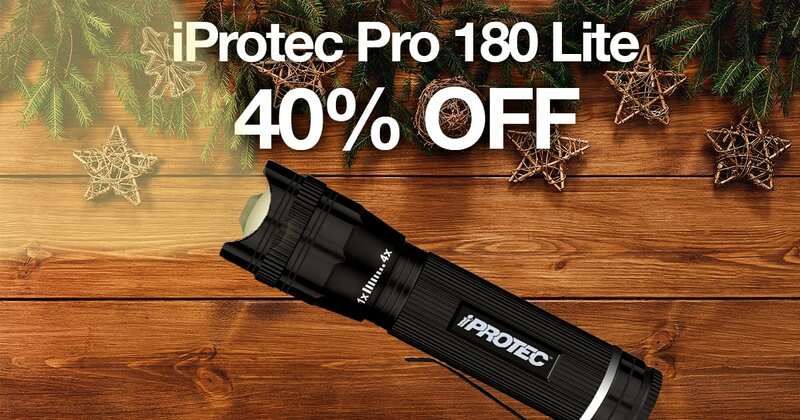 We’ve reduced the iProtec Pro 180 Lite flashlight by 40%! You’re passed the deadline for Christmas delivery, but we have plenty available in store. Don’t forget you can shop online for Click and Collect too!